Dan and Cheryl Mortland with their son Bob founded Fox Meadow Winery sixteen years ago. Their family represents the 7th & 8th generation of vintners. 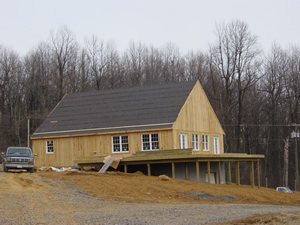 The decision to create a farm winery began after they visited the area and fell in love with Northern Virginia. At that time they visited some of the local wineries and realized that great wines could be crafted here! 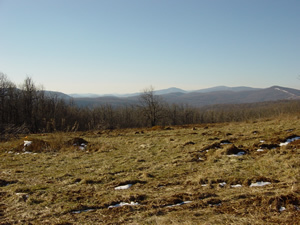 Almost a year later, after an exhausting search, they found the parcel of land which is now known as Fox Meadow Vineyards. Fox Meadow was once part of Freezeland Orchard, which was almost 100 years old. They could immediately see the potential of this location. It had great possibilities! 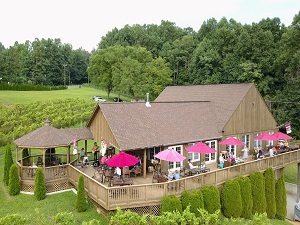 Once “discovering” the site, they enlisted some of the finest professionals in the region to help them develop Fox Meadow Vineyards and Winery. They have now been crafting great wines, using traditional wine making skills and processes, for over a decade. Whether your taste is for the more traditional “Old World” style dry wines like Reserve Cabernet Franc or Le Renard Rouge (Meritage) or if you prefer a light refreshing aromatic fruity white wine like Pinot Gris or Blue Mountain Mist, Fox Meadow has a wine for every taste. 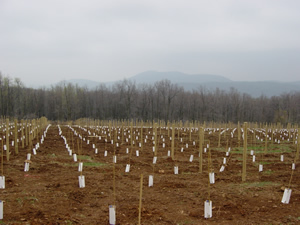 In 2003 the original 5-acre vineyard was planted. There are now over 14 acres of vines with more being planted each year. The Winery is committed to creating hand crafted boutique quantities of wines. Currently 3000 cases of wine are produced each year. The wine making philosophy is to minimize the intervention with the wine as it is created. The methods utilized are time tested and traditional process steps. Recognition of Fox Meadow’s commitment to crafting quality wine began almost immediately after opening when the inaugural vintage of Cabernet Franc won the “Best of Show Award” in the 2007 Atlantic Seaboard Wine Competition. In 2011 the 2008 Le Renard Rouge Meritage won the Virginia Governor’s Cup. In 2017 the 2016 Fox Meadow Winery Cabernet Franc was awarded the “Best of Show Award” in The Wines of the South Wine competition. Numerous times Fox Meadow wines have been featured in major publications like the Wine Enthusiast Magazine. The winery looks forward to slow growth never losing focus on the fact that wine being created begins in our vineyard.